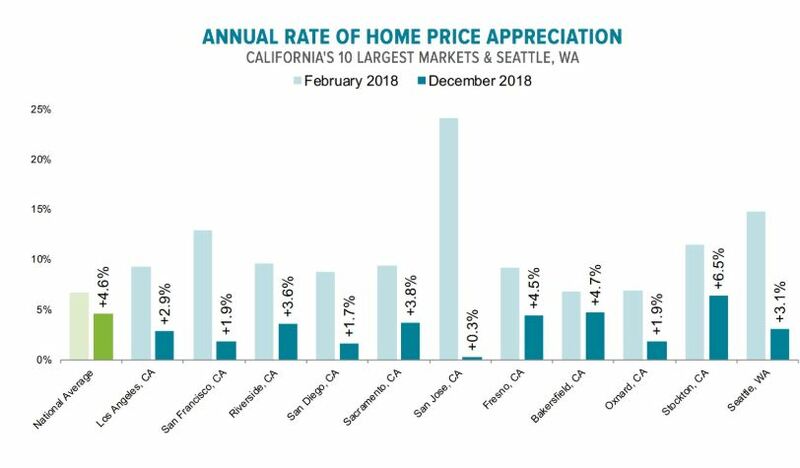 Appreciation is slowing down, and though it looks like San Diego slammed the brakes on between February and December last year, it’s nothing compared to San Jose where sellers went through the windshield, figuratively. The year-over-year increase in our December Case-Shiller Index was +2.3%, and with Black Knight’s at 1.7%, let’s average and predict 2% appreciation for San Diego in 2019. It means 1/2% per quarter, which sounds pretty flat. Ben Graboske, president of Black Knight’s Data & Analytics division, explained that while home prices are still up year-over-year in all 50 states and the nation’s 100 largest markets, slowing is noticeable nationwide and – combined with recent interest rate reductions – is helping to improve the overall affordability outlook. He added, “With more than 50 percent of areas reporting, early numbers for January suggest we’re likely to see more of the same. That said, it’s important to keep in mind that annual growth is still outpacing the 25-year average of 3.9 percent – although the gap is closing quickly. 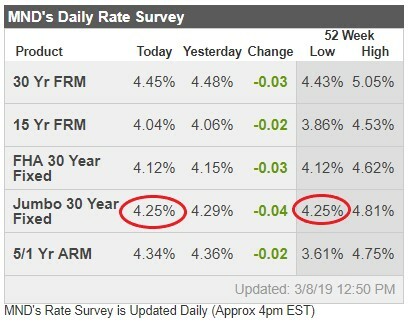 Also, it’s yet to be seen what impact the recent pullback in interest rates may have on the national home price growth rate. The slowdown has been especially apparent in the West. While some interior states are still seeing large gains – Nevada, Idaho, and Utah saw the greatest increases in the nation with Nevada still in the double digits – large metro areas on the coast have seen appreciation rates plummet. 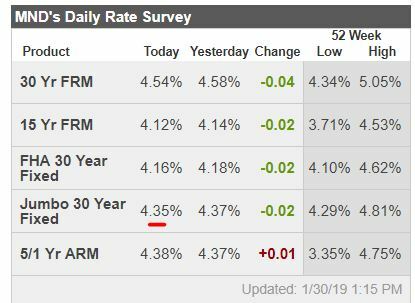 Black Knight looked at the 10 largest markets in California and at Seattle and found that eight of them had seen their appreciation rate cut in half over the previous 10 months and by 70 percent in five of them. While prices in Washington State as a whole are still increasing by 5.7 percent, Seattle’s several year double digit run has evaporated. The annual rate is now 3.1 percent. 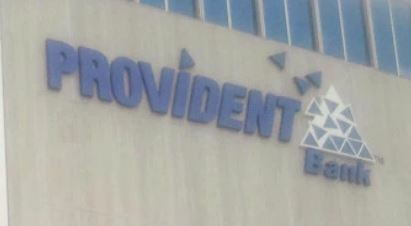 Provident Savings Bank, the largest community bank in Riverside County, is discontinuing its mortgage banking operation, the company said in a statement. The decision, announced by the bank’s board of directors Feb. 4, was based on a lack of profitability given the current financial environment. The operations are scheduled to cease on or before June 30. Layoffs of 133 employees, of which 83 are in Riverside, were posted this week on the California WARN Act website, which requires layoffs to be publically reported. The others were at satellite offices in Brea, San Bernardino, Glendora, Carlsbad, Placer County and Northern California. HomeStreet announced Friday that it is planning to sell off its entire retail mortgage operation, which includes 72 home loan centers in five states, as well as nearly all of the mortgage servicing rights associated with loans originated in those retail outlets. According to HomeStreet’s website, the company has 72 home loan centers: 37 in Washington, 16 in California, six in Hawaii, five in Idaho, and eight in Oregon. 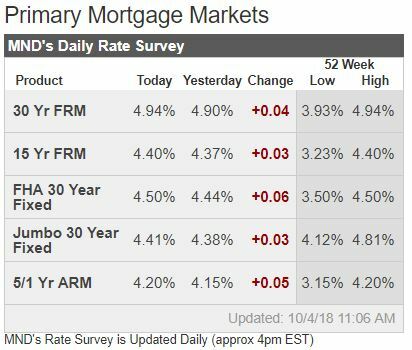 According to the bank, it is making this move due to the “persistent challenges facing the mortgage banking industry.” The bank cites “the increasing interest rate environment,” which has reduced the demand for refinances, and higher home prices that have decreased the affordability of homes. 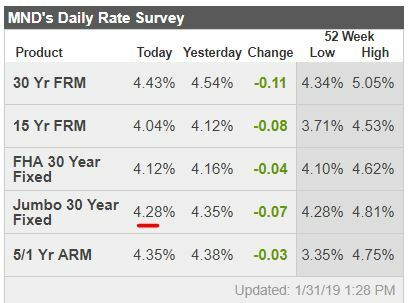 The mortgage business thrives on refinances in the ultra-low rate environment, but once rates rise, those refis dry up in a hurry. A long-time local lender told me this week that two years ago there were 8,000 licensed mortgage originators in San Diego County, and today it’s 4,200! We speculated that many of them became agents – another industry that is overdue for constriction. There are over 15,000 realtors in San Diego County, and last month we sold 1,770 houses, condos, and mobile homes countywide. 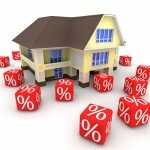 Everyone who is financing a home purchase should strongly consider the standard 30-year fixed-rate mortgage. Though I recommend you move every 6 to 12 months (it’s good for business) these days most people are in it for the long-term. Even if you knew it wasn’t going to be a lifetime house, consider keeping it as a rental when you move. But for those who have very strong income, or know they have an inheritance coming, a business or property to sell, or know their lucky Lottery numbers are going to pay off sooner or later, you may want to consider today’s version of exotic financing. You should only take an alternative to the 30-year fixed rate if you had a solid plan to pay it off early. Don’t get an ARM thinking you’ll refinance someday, because it’s likely you’ll never get around to it – the fixed rate loan will have a higher payment, and you’ll shrug it off. 4.375% interest-only for ten years, no points. The 30-year fixed option is $7,054 per month, and will cost $18,750 up front. The ten-year ARM is $5,469 per month for ten years, with no points. A benefit of the regular 30-year fixed-rate mortgage is the principal reduction every month – it’s a forced savings plan. After ten years, you will only owe $1,137,917, instead of the full $1,500,000 with the interest-only loan. The ARM will feel like a fixed-rate loan with no payment change for ten years – which could lull you to sleep, and come back to haunt you 8-9 years from now. Don’t take the 10-year deal just to get a lower payment. Take it because you know you have the ability to pay it off in the next ten years. Aryanna Hering didn’t have pay stubs or tax forms to document her income when she shopped around for a mortgage last year—a problem that made it tough for her to get a loan. But the nursing student who works part time providing home care for children and the elderly eventually hit pay dirt: For a roughly $610,000 home loan, a mortgage company let her verify her earnings with 12 months of bank statements and letters from clients. At the same time, Wall Street investors who buy home loans are scooping up unconventional mortgages that have been packaged into bonds, edging back into a corner of the market that is riskier but provides higher returns. There were $12.3 billion of such residential-mortgage-backed securities sold in 2018, nearly quadruple from a year earlier, according to credit-rating firm DBRS Inc.
Back in 2006-2007, Countrywide was funding neg-am mortgages up to $1,500,000 with no money down and just a decent credit score – the example given is far from that. 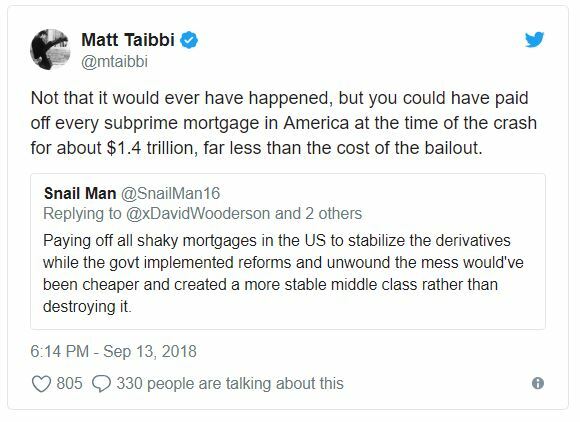 The mortgage industry needs to find a balance in between – it’s not out of line to finance a borrower who can show income via bank statements and has substantial equity/skin in the game. So is it possible for bonds to see such a reversal? Yes, but it’s equally possible that the pain continues. Either way, it will likely be up to the market’s reaction to the big jobs report in the morning. 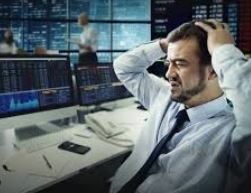 Traders aren’t necessarily as interested in the payroll count and unemployment rate as they are in the average hourly earnings data–the ingredient that lit the match on September’s rising rate powder keg. 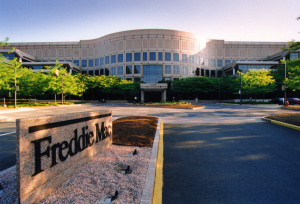 Freddie Mac is consolidating its Home Possible program with its Home Possible Advantage Mortgages program. These programs offer greater flexibility and higher loan-to-value ratios (LTVs) than traditional mortgage programs. The combined product will be called Home Possible Mortgages, and will closely align with the purpose and requirements of the previously-named Home Possible Advantage program, with some changes. buyers with a maximum 45% DTI for manually underwritten mortgages. These changes are meant to both widen the pool of qualified homebuyers, and streamline programs for lenders’ ease of use. By loosening the requirements for its Home Possible Mortgage programs, Freddie Mac’s hope is to encourage lenders to qualify more applicants, thereby increasing homeownership opportunities nationwide. However, loosening requirements by allowing high LTVs, DTIs and ARMs makes lending — and by extension the housing market — riskier. 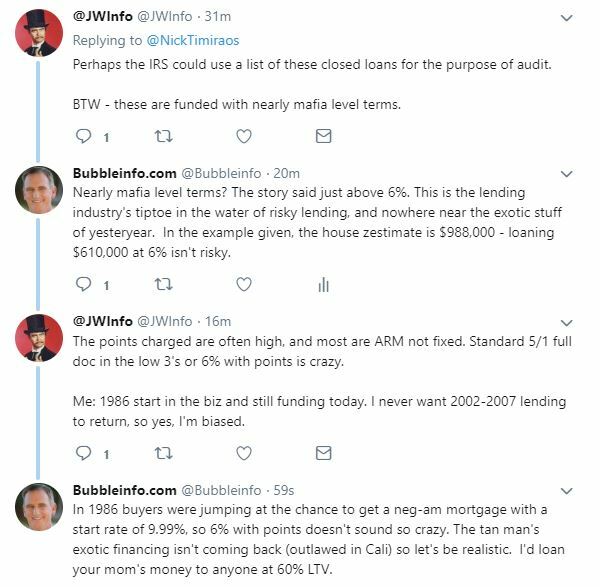 For veteran real estate professionals, a growing presence of dangerous mortgage products and loose lending restrictions will sound familiar, as they all increased during the Millennium Boom and ultimately played a big part in the cause of the housing crash and 2008 recession.